Finnish Rabbit and Rodent Breeders’ Federation was founded in the year 1989 and its constitution was officially registered in the very next year. The name of the organization is Finnish Rabbit and Rodent Breeders’ Federation (in Finnish Suomen Kani- ja Jyrsijäliitto ry, with abbreviation SKJL) and it has its registered office in Helsinki. In this constitution the organization is referred as “the Federation”. The Federation is nationwide. Its aim is to promote rabbit and rodent breeding, training and exhibition activities in Finland and to act as a national central organization for Finnish rabbit and rodent breeders’ associations. In order to reach its aims, the Federation organizes rabbit and rodent related conferences, maintains a record of rabbit and rodent judges, manages a record of accepted breeders of rabbits and rodents as well as carries out consultation and publication services for its members. The Federation activities are funded with membership fees. The Federation can organize fund raising events, lotteries and parties as well as accept donations and legacies. The Federation is able to hold immovable property when it is necessary in terms of its activities. 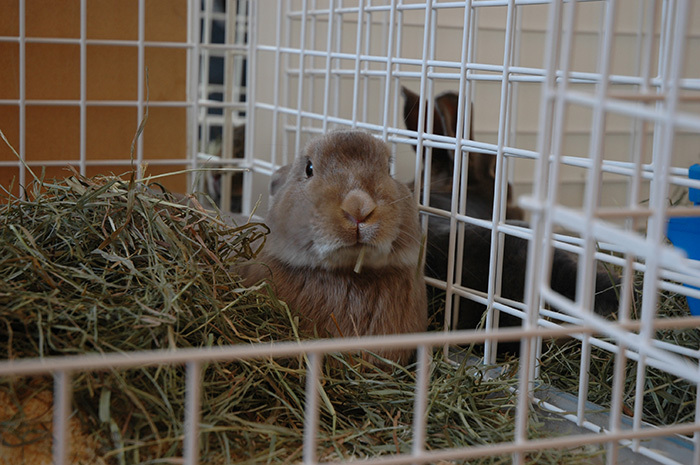 A registered rabbit or rodent breeder association can be admitted into the Federation. The applying association can be a local, regional or national association, representing either one or more rabbit and rodent species. Achieved membership rights will maintain. An association can become a member in the Federation by paying the prescribed membership fee. The Member Association’s constitution may not be in conflict with the constitution of the Federation. The Member Association shall act according to the same principles and aims which the Federation has adopted. When an association apply membership in the Federation it agrees the aim of the Federation, and commits itself to following these rules and obeying the decisions the Federation will make. In the Autumn General Meeting, the Federation determines the membership fee which will be collected from the Member Associations annually. All the Member Associations shall pay the annual membership fee by the due day which is determined in the autumn meeting. A Member Association is entitled to withdraw from the Federation by written notice to the Board of Federation or to the President or by announcing the resignation in a General Meeting. The Board of Federation is entitled to expel any member from the Federation according to the Article 14 of the Finnish Law of Associations. The expelled member can appeal the decision to General Meeting. The appeal shall be sent in writing to the Board of Federation no later than in 30 days from the notification of the dismissal. The Federation is managed by the Board. Each Member Association nominates its representative to a General Meeting of the Federation. In the Autumn General Meeting the President and 3-7 Board Members will be elected. Members of the Board are aimed to be elected so that they represent various Member Associations. The Autumn General Meeting may elect substitutes to the Board Members. The members of the Board will be elected for one calendar year. Among the Board Members, the Board of Federation will nominate a Vice President, a Secretary and a Treasurer, the latter two can also be selected from outside the Board. The Board of Federation may also appoint all other necessary staff. In the Board of Federation all matters are decided by a simple majority of votes. In case the vote results in a tie the chairman’s vote rules. In elections the case is solved by casting lots. The Board of Federation manages the federation and implements the decisions of the General Meetings. The Board of Federation will launch initiatives and proposals to the Member Associations in order to achieve the aims of the Federation. The Board of Federation represents the Federation, makes commitments, claims and defends for the Federation. The name of the Federation can be subscribed by the President or Vice President, either of them together with the Secretary or Treasurer. The financial year of the Federation is a calendar year. Financial statement and the annual report shall be presented to the auditors no later than three weeks before the Spring General Meeting. The auditors must submit a written opinion no later than two weeks before the Spring Annual Meeting to the Board of the Federation. The Federation holds two General Meetings annually. The Spring General Meeting shall be held in March or April and the Autumn General Meeting in September or October. The Board of Federation decides the dates of the meetings. Additional Meetings are held when the Board of Federation so decides or when at least one-tenth (1/10) of the members of the Federation demands it for a specific issue in writing from the Board of Federation. An Additional Meeting must be held within 30 days from when the demand has been presented to the Board of Federation. Each Member Association has one vote in the Federation Meetings. In the Federation Meetings all matters are decided with a simple majority of votes. In case the vote results in a tie the chairman’s vote rules. In elections the case is solved by casting lots. The Board of Federation shall convene General and Additional Meetings no later than 14 days prior to the meeting by sending a written notice to all the Member Associations. Confirming the action plan, the budget and the membership fee for the next calendar year as well as the due date when the fee shall be paid. A Member Association may submit proposals to a Federation General Meeting by notifying the Board in writing no later than 30 days before the meeting. The decision to amend the rules or dissolute the Federation shall be done in a Federation General Meeting with at least three-fourths (3/4) majority of the votes cast. The altering the rules or dissolution of the Federation must be mentioned in the notice. When the Federation is liquidated or abolished, the Federation funds will be used to promote the aims of the Federation as the liquidating meeting decides.